The “South Asia Women’s Peace and Security Conference – Formulating National Action Plans & the Way Forward” brought together relevant stakeholders from South Asia and beyond, to address concerns connected with women, peace, security and better representation of women in decision making and peace building processes. The conference took place on the 21st and 22nd of September 2015 at the India International Centre in New Delhi. The conference attracted delegates from the SAARC region (India, Bangladesh, Nepal, Sri Lanka, Pakistan), Myanmar and the Philippines, including UN agencies, government representatives, parliamentarians, diplomats media persons, academics and women activists, with a view to facilitate dialogue on the way forward for women, peace and security in the spirit of the United Nations Security Council Resolution (UNSCR) 1325. On day 1, the Union Minister of State for Home Affairs Shri Kiren Rijiju, Chief Guest at the event, pointed out that India has a number of legal provisions for the protection of women, but the problem essentially lies in the mindset of society. “I am here to show solidarity on these issues. Consider me part of your movement: let’s work together to ensure peace and security for women in these countries”, were Shri Rijuju’s concluding words. Philippe Dresruesse, Programme Advisor, Welthungerhilfe, welcomed participants and commented that women are indispensable for sustainable peace and that in South Asia we need joint regional initiatives that go beyond boundaries. Mr Onestini, Chargé d’Affaires a.i., Delegation of the European Union to India, highlighted the role of women as instigators of change: “Peace and security require a people-centred approach, and women need to be an essential part of it for it to be a truly transformative framework” he stated. . H.E. Mrs Ma. Teresita C. Daza, Ambassador of the Republic of Philippines, emphasized that women need to be able to access knowledge and education to drive peace. Bandana Rana, Coordinator 1325 Action Group Nepal, talked at length about the value in bringing civil society and government together, in dialogue: “Nepal’s National Action Plan enables us to have identified actions, a dedicated budget and accountability mechanisms”. 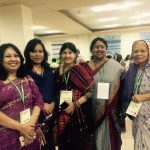 Veena Sikri, Convenor, South Asia Women’s Network, emphasized that “Recognizing the centrality of women in society is the foundation for any peace-building”. Kavita Sharma, President of the South Asian University underlined that we need to create collaboration, as opposed to competition, between the ‘people’ and the ‘state’ when working on conflict resolution. Binalakshmi Nepram, Secretary General of CAFI, concluded by highlighting that “Local, national and global partnerships are the need of the hour to make it happen”. 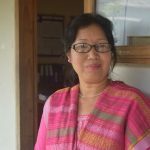 On day 2, Dr. Rosemary Dzuvichu, Nagaland University, acknowledged the role of the Naga Mothers in the ceasefire agreement signed recently: “Any agreement signed with a military group should have a gender perspective. 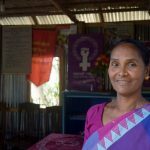 We are a force to be reckoned with!” Rose Mangsi, Kuki Women Union in Manipur, highlighted that “We cannot think of progress and civilization without peace – one of the basic needs of a society.” Prof. Lalneihzovi, from Mizoram University, added that “The participation of women in political processes is the need of the hour”. S. Momon, Meira Paibi leader from Manipur, concluded with a very heartfelt message “Sexual violence in conflict must be stopped and women must lead the way for peace”. Voices from the Northeast states of Tripura, Assam and Meghalaya were also shared. These, along with the insights from experts and social activists from the region, were embedded in the draft of a National Action Plan on UNSCR 1325 that will be submitted to the Government of India. 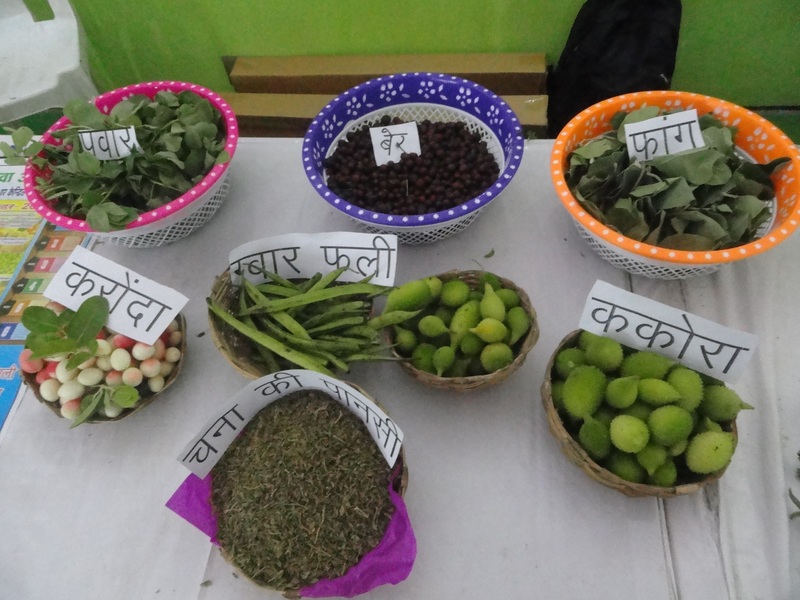 The conference was organized by the Control Arms Foundation of India as part of the ‘Empowering Women for Peace and Development in South Asia’ project, supported by the European Union and Welthungerhilfe. 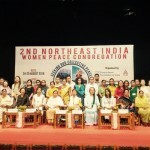 The Manipur Women Gun Survivors Network, Northeast India Women Initiative for Peace in collaboration with National Forum of Action on Convergence and Nirbhaya Jyoti Trust were co- organizers of the event. Until 25 September, at IIC, the the Ima Keithel – a Northeast India Mothers Bazaar of bamboo craft and weaving exhibition by women survivors – will be taking place.